Hydroforming is a quick, efficient, and reasonably priced metal forming technique that produces structurally strong components with minimum material wastage. It is the preferred technique for shaping intricate components from ductile metals. These qualities not only differentiate it from other metal forming techniques, but also make it a smarter alternative to the conventional methods such as stamping, and stamping and welding. The uniqueness of this metal forming method lies in the fact that it makes use of pressurized hydraulic fluids to form metal components. As part of this process, a flat metal disc is placed on to a mechanically driven mandrel. The hydraulic oil or fluid is pumped into the chamber behind a rubber diaphragm that is the counter pressure to the rising mandrel. This causes the metal to draw until it takes the shape of the mandrel. The metal can then be removed from the mandrel in its formed condition. The need for secondary finishing operations is minimum. 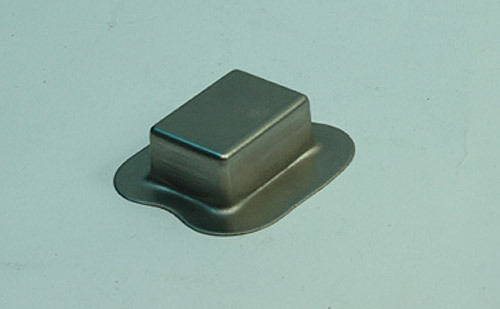 Both convex and concave shapes can be attained using this metal forming method. If you are looking at procuring high-quality metal components to exacting specifications at reasonable costs, then this metal forming technique is perfectly geared to your needs. At Helander Metal Spinning Company, we customarily work with industries such as: commercial food equipment, metal furniture components, parts and components for the waste storage industry, wheel rims, hot rod components, HVAC components, medical equipment, streets and sanitation, defense and aerospace, satellite communications, and much more. Hydroforming is commonly used to shape metals such as carbon steel, copper, aluminum, brass and stainless steel.